Different soapmakers do it differently; this is simply my opinion. UPDATE – Please read this post. The amount of essential oil and fragrance oil used in soap should be calculated based on the base oil amount in your recipe and not the total amount of soap (oils + lye + water). Very simple. 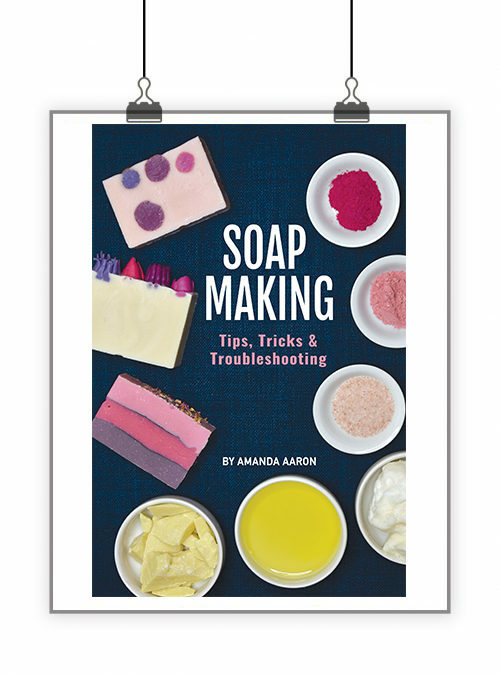 Water amounts fluctuate in soapmaking depending on the recipe. 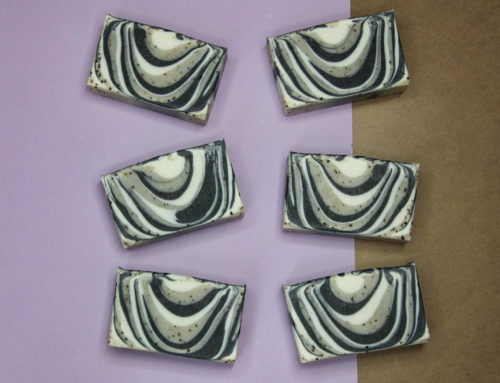 Sometimes I make soap using a high water discount of 1.5 times my lye and sometimes I make soap using my standard water amount of 2 times my lye. Water evaporates during the curing process and eventually the soaps would get pretty close to having the same amount of water in them. But one would have more FO/EO than the other because the extra water was included in the calculation. Let’s look at a simple scenario. I make two batches of soap. One I’m going to pour directly into the mold and one I’m going to do a complicated swirl. To slow down swirl soap, I’m going to use more water. If I calculate the fragrance based on total recipe volume for each, it would look like this (I’m using 5% but the percentage isn’t what’s important…its the variation that we’re looking at). And if using “full water” your total ounces would be something like 49.8 oz (3 times the lye). If we were using the total recipe to calculate FO/EO usage then we would end up with THREE different amounts for a soap that will cure out to be about the same (the soap with more water would take a bit longer to cure out as the soap with less water). The three soaps would end up with three different strengths of scent. The world is certainly not going to end if you have these fluctuations but if you are in business…a consistent (and consistently smelling) product is important and every penny counts! So it’s important to think about your FO/EO usage amounts. So how do I calculate FO/EO usage rates in my soap? I calculate my rates based on the amount of oil in my recipe. My standard rate for fragrance oil is .7-1 oz per pound of oil (PPO). My standard rate for essential oil is .5-1 oz per pound of oil. Rates vary depending on the strength of your oils, but these are good starting off points. You certainly aren’t going to use .5 oz of clove or cinnamon in a soap as that would be too much. 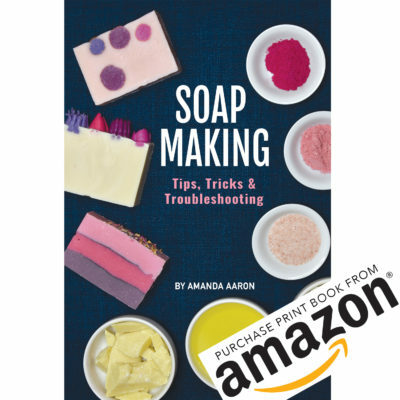 If I use the recipe above for a simply poured soap with less water or a swirled soap with more water, both would end up curing with the same fragrance load once water evaporated out. I hope this makes sense! This is one of the questions I get asked most. How do you calculate your usage rates in your recipes? my soap recipe from soap calc called for 1.72 oz for 5 lbs of soap ???? They help in opening the blocked aiirway and then try to prevent any additional attack off asthma. There are certain indoor allergens thhat get actove mainly in winter and still have high probability of triggering asthma. The characteristic of restlessness is but one that numerous asthma sufferers can relate to. I have several fo’s that are 1oz each or less. Can those fo’s be blended together as long as each IFRA % is calculated correctly per the oils used? Thank you so much for your well explained tutorial, I have two questions and I appreciate if you help me. and I wondered here you considered based on the weight of oil, should we count the weight of clay and other stuff which they do not evaporate? On bramble berry calc. it calculates based on the total weight of the soap and some other websites and you consider based on the weight of oil. Would you please make it clear for me? I bought your cold process recipe book last year and it has been my bible. 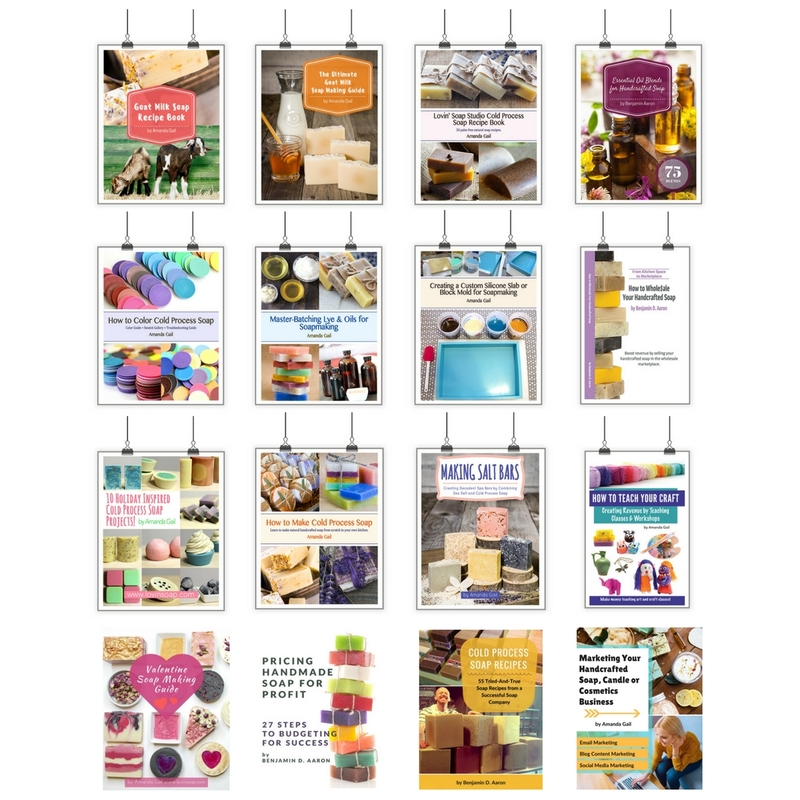 All your recipes stated to use 60 gms. EO per 900 gms. of oils and I have been doing that. In this article you are saying to use half that amount. I.e. 0.5 oz. EO per pound oils which is 14 gms. Per 453 gms. Oils. Could you clarify which is correct. Hi Debbie! This post is quite old. 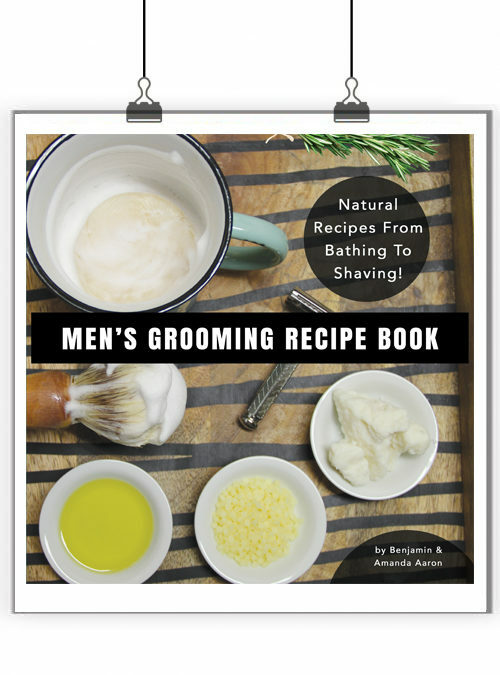 After more experience with soaping and using essential oils, I do use closer to the 1 oz per pound of oils so that the scent lasts. I updated the post. It really is a matter of preference. 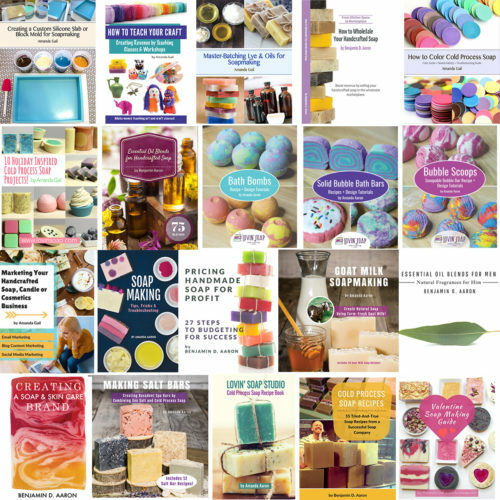 In the Lovin Soap Studio recipe ebook, I do mention in the front of the book under About Essential Oil Blends, that blends can be used in the 30-60 gram recipe per batch of 900 grams soap. My recipes are written out using 60 grams of essential oil. If you want things lightly scented, you could use half. I noticed you didn’t say anything about IFRA usage rates when determining FO/EO usage? You said your standard is .7-1oz ppo. In a recipe with 32oz of base oils, 1oz ppo would be 6.25%. Some fo’s IFRA rate is much lower than that percent. Some IFRA rates are very high and you wouldn’t use at 65% because it wouldn’t be economical. If you are using a blanket .7-1oz ppo and not following IFRA rates then you could be using too much or not enough. HI Jan, you are correct. I have an updated post about IFRA usage rates and CP soap. Do you think the Soap Cal is pretty good is measuring the fragrance oils? I like what you said it made more sense! I was thinking that as soap is not a leave on product, and as it washes off immediately when using it, would the usage rates on data sheets have the same relevance for soap? I understand on a leave on product that you wouldn’t want to use more than suggested, but with soap it’s not quite the same. 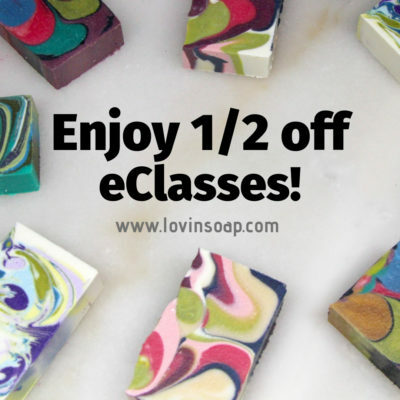 I was just thinking about it because I see so many different rates of eo use in soaping. 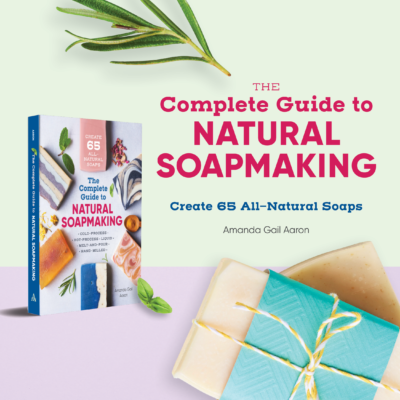 I have seen one recipe that uses 30 gram per 500g soap oils. Just wondering what you think.. I know that BB has a fragrance calculator, if you buy their fragrances. 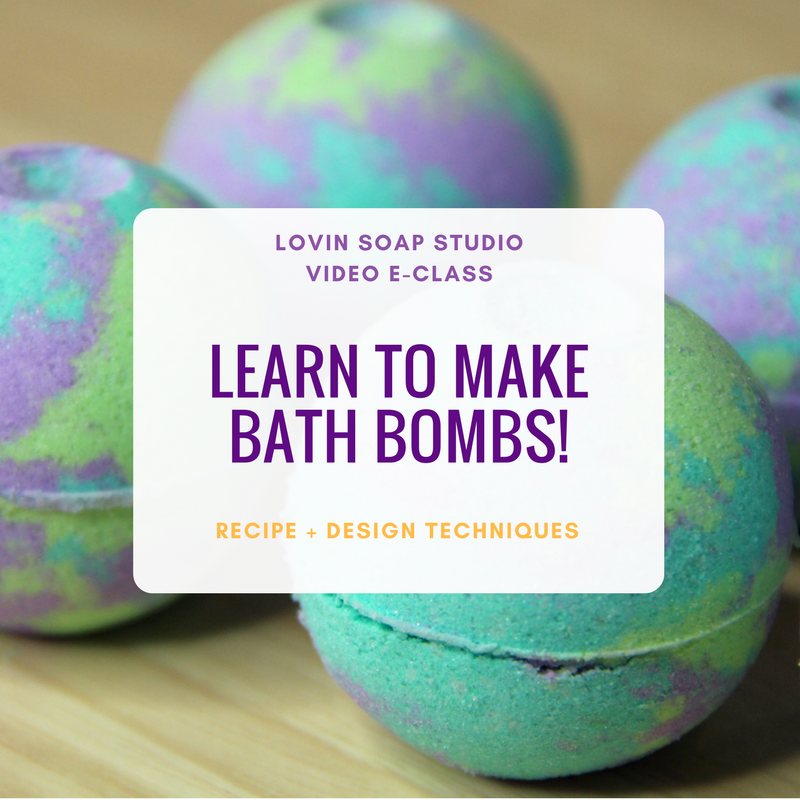 I don’t particularly like to use EOs or FOs in soap, but I do think that it’s important to know a little bit about using them! and I have not yet received a download link, and your email address is bouncing emails because your inbox is full. can you please contact me at micah_sound@live.com.au to arrange sending me a download link? Where do we find an essential oil usage rate per pound of oils? Firstly thanks for all your fantastic posts, I love reading them and they are full of great information some of which I know but mostly a lot of stuff I dont’ which is super helpful. I have a question I’m hoping you may be able to help me with. 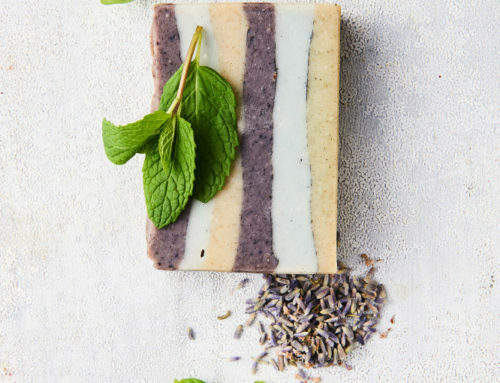 When blending EO’s how do you determine the ratio of each one, for example I really want to make a lavender & mint cp soap would I use 50/50% ratio? I don’t want the mint to overpower the lavender. Also can you successfully blend EO’s & FO’s. You can’t calculate FO and EO the same way. Essential oils has different safety rates then fragrances and some of them smell stronger. For example clove and cinnamon bark. If you use them in soap at your rate soap will be very irritating on your skin and smells overpowering. I will recommend to look at MSDS and safe recommended amounts of each EO individually before you add it into soap. Specially it can increases EO% with water evaporation. Have a wonderful day and happy soaping. Absolutely, Lidiia (and I mention that in the post) – This post was more about total load of scent and discusses calculating based on base oils or total recipe amount. When working with essential oils, there are certainly more guidelines to use within the blend itself. Thank you so much for all the helpful information you share. This post was very interesting and useful. I had no clue the difference between water to lye. Actually I really didn’t know it could be changed. Awesome, glad it was helpful! It can be a bit confusing. Also, here is a link to a discussion on water usage in soap. Thankyou very much for a great article. I wasn’t so aware of the water ratio issue either so i read the other link you gave. I make castille soaps mostly and yes they are very soft for sometime and i have to wait days to unmold. So I’m very grateful for this blog! Thanks again.